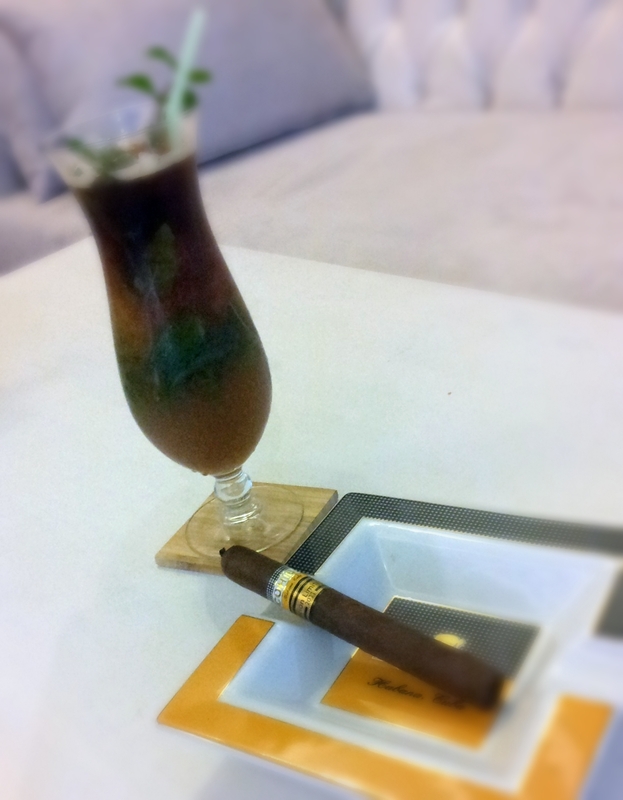 Summer Drink Recipes - Espresso Mojito - A Sure Compliment To Your Cigar! Welcome the summer with a nice refreshing drink that will surely give a shock to your taste buds! Yes, if you are a coffee person who is daring enough to have your caffeine by the pool, then here is your chance. If you are like me, you never miss a chance to have an espressos and Mojito being your cocktail of choice, well then it is about time to marry those two together! 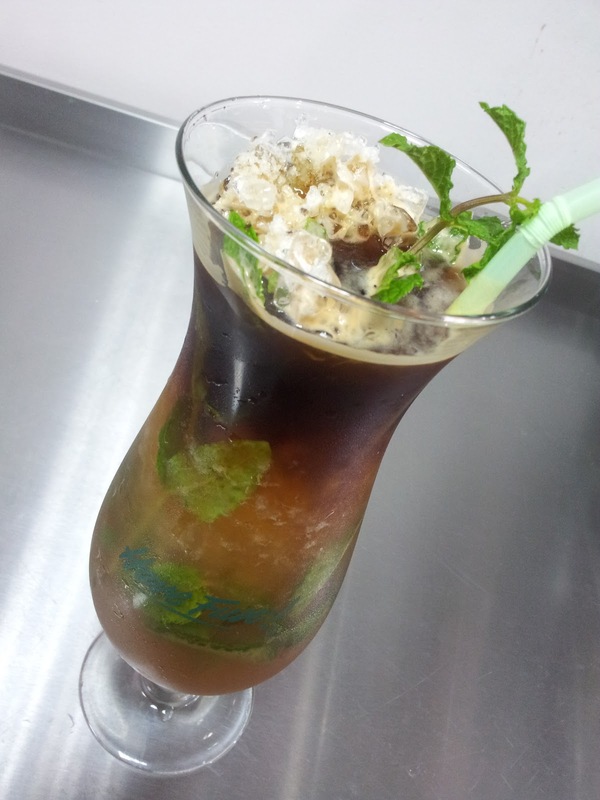 Yes, an Espresso Mojito! As weird as it may sound, you will be surprised with the outcome. I am in love with it right now and I cannot wait to order one in a bar just to see the look & reaction on a bartenders face! In a tall glass, muddle together with a wooden spoon (I actually used a lemon juicer) the Brown Sugar, Limes and mint leaves.I don't like my Mojito too sweet, that is why I only use one tablespoon. Feel free to alter the recipe to suit your taste. Fill the glass half way with crushed Ice and add the Lemon Juice then shake or stir to chill the mixture. Pour the mixture in a clean cocktail glass and fill the remainder with more crushed Ice leaving just a few space at the top and add the club soda. Brew the Volluto or Arpeggio in an espresso cup (This is the sexiest part of the cocktail) then slowly and gently start pouring the espresso on top of the crushed ice and watch them marry. Such a beautiful sight! 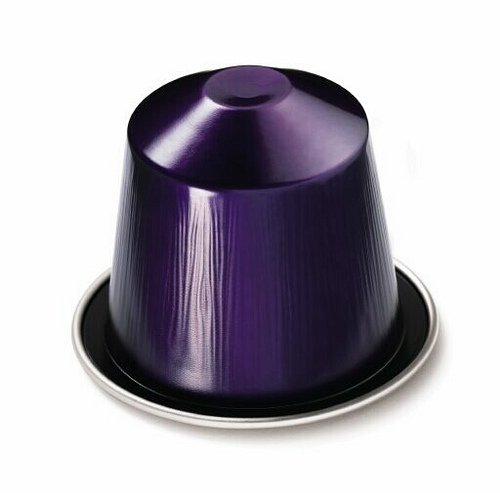 The reason I choose Nespresso's Volluto or Arpeggio is that they are both fruity in characters but thier intensity are different. If you want a stronger nuttier taste then go with Arpeggio, otherwise the Volluto will offer you a subtle light roast. My two favorite drink while smoking are now in one! 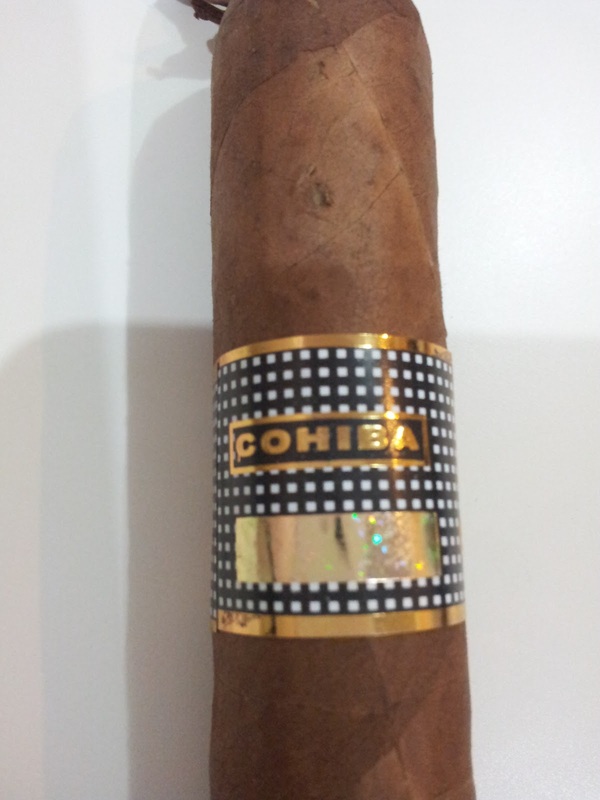 It is refreshing and can go well with most medium to full bodied cigars. Try it out and let me know what you think. 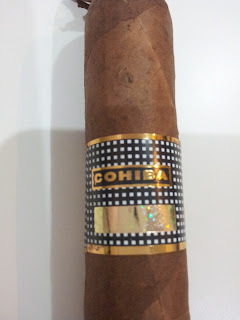 I actually enjoyed mine with a COHIBA 1966. Perfect! P.S. I did not come up with the idea of an espresso mojito, I actually read it a few years back on Nespresso's Website, but the recipe is no longer available so I came up with my own, and it works! 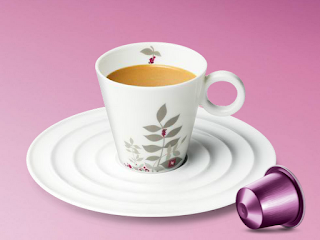 I don't steal the credit but Nespresso was the inspiration. 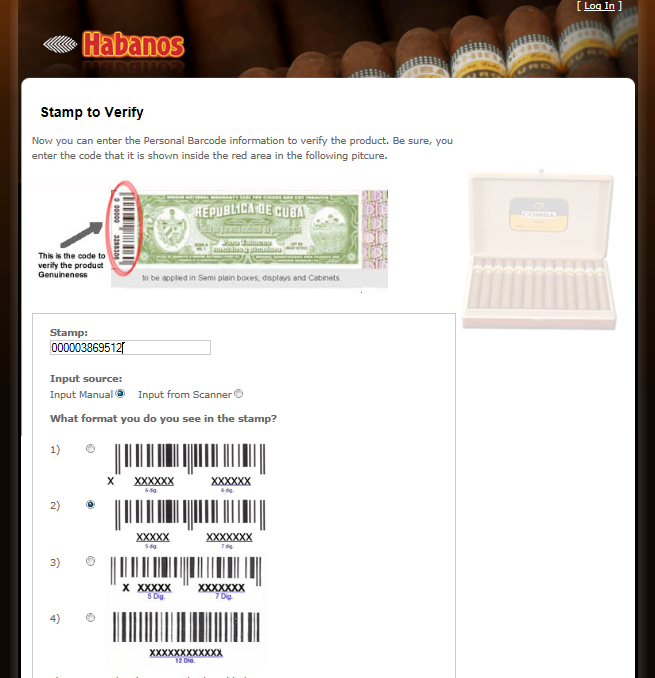 Following my post back in February (Fake or Real Cuban Cigars? 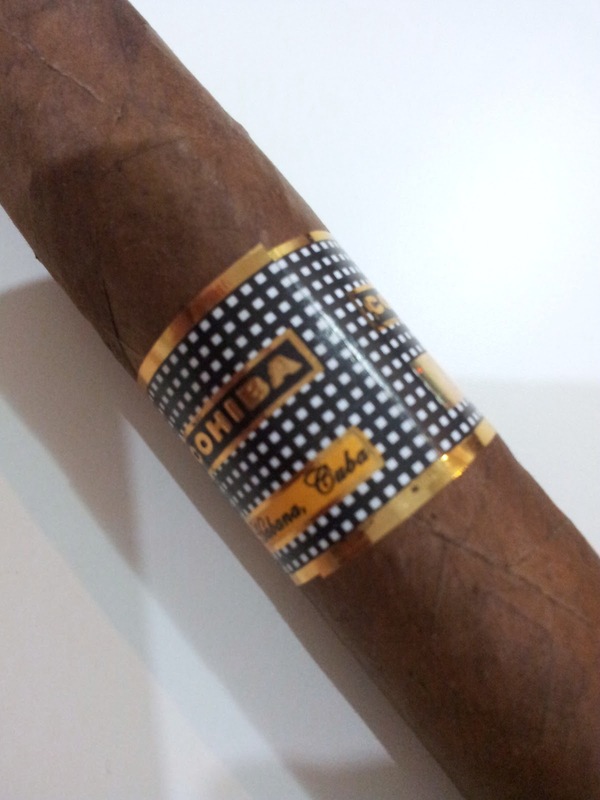 How can you tell..) I never actually came across any counterfeit or fake Cuban cigars before... until now! I cannot explain to you the joy and excitement I was feeling once I was face to face with a fake, but I'll tell you how it happened. 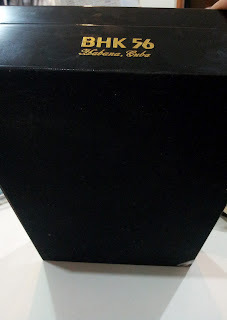 A week ago I was having lunch with my family and my dad said to me "I got this from your uncle and I thought you would like it" and points to a black box sitting on a table. 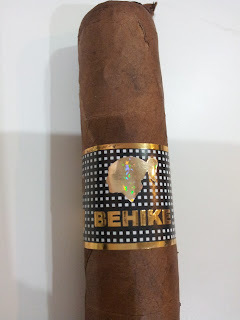 So I walked by it to see what it was and once I saw the BEHIKE word I thought, wow, that was really nice of them to give me a BHK 56. So I sat back down to continue my lunch, but something kept bugging me as I looked again at the box from across the room. 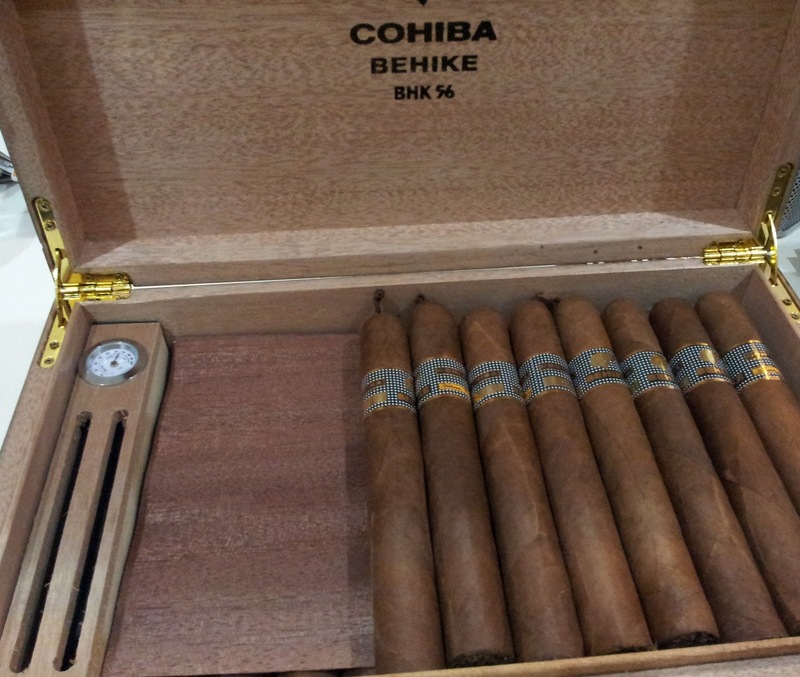 I said to myself "that cigar box looks a little bigger than what I remember it to be". I quickly finished my lunch and went straight back to the box and picked it up. 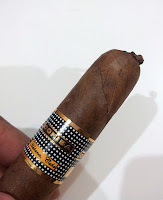 First thing I said "please let it be..."
The box construction was weird as it was not like the regular BEHIKE's, then I quickly noticed the Habanos SA label and the Guarantee Seal being a little off. Here is where things got exciting! 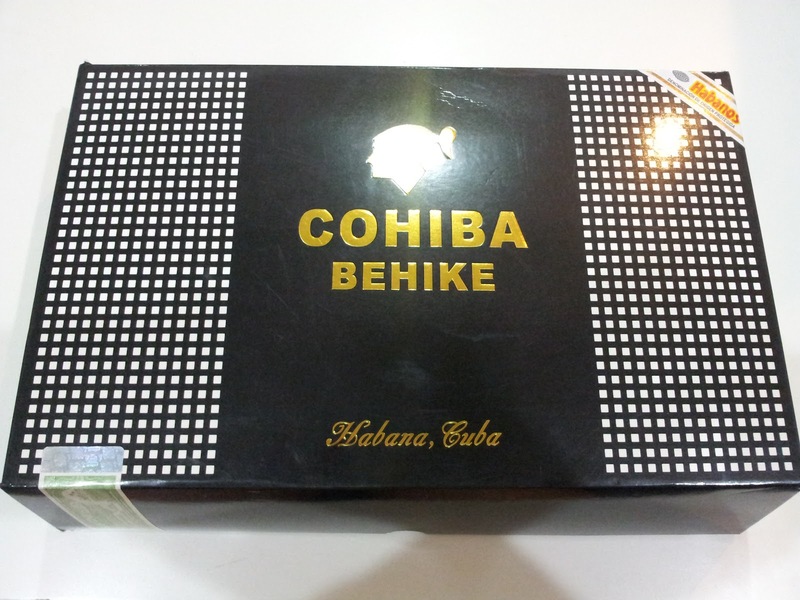 Since when did COHIBA BEHIKE 56 came as a 24 cigar box?!! 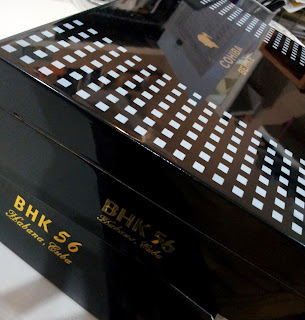 If you are familiar with this release, you know they only put out a box of 10s! At this moment I was jumping up and down with excitement! 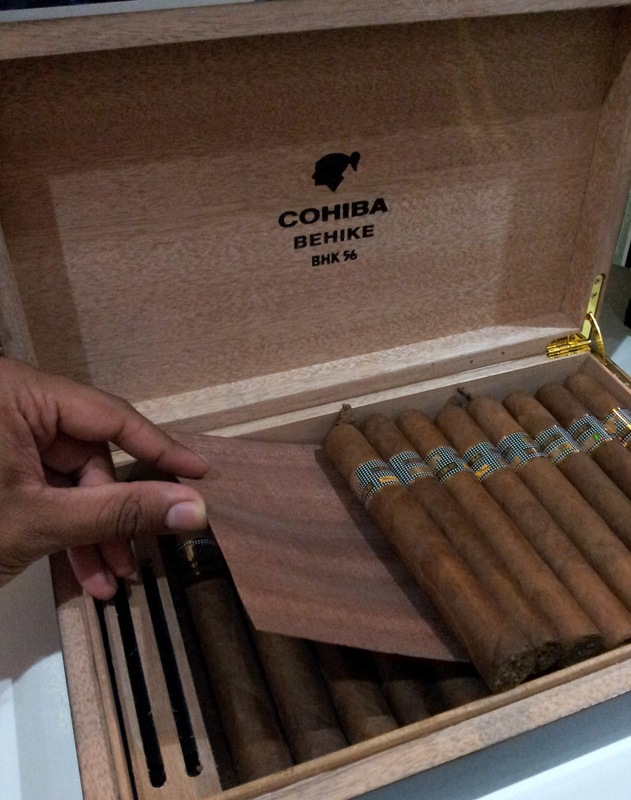 I have in my possession fake Cubans! Just for my satisfaction, I followed the same steps as in my previous post (Fake or Real Cuban Cigars? 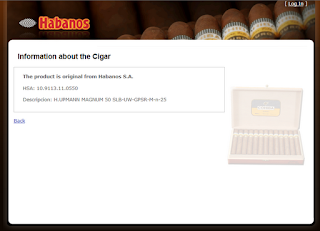 How can you tell..) to validate this product on Habanos SA website. 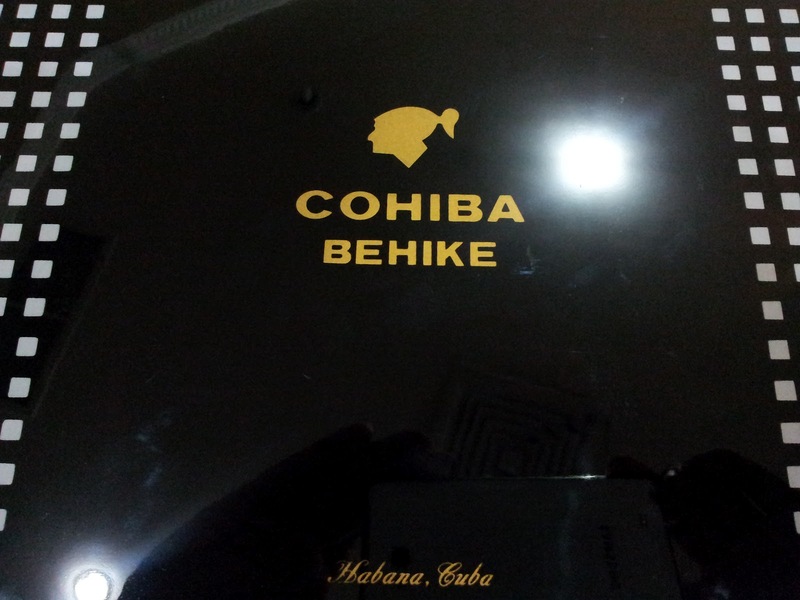 COHIBA you are NOT the father of this BEHIKE (enough with the Maury show already). The seal came back with H.UPMANN MAGNUM 50! At this moment, I was a proud owner of a guaranteed counterfeit BEHIKE 56! 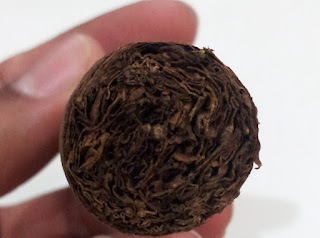 let check out the details on these fakes! 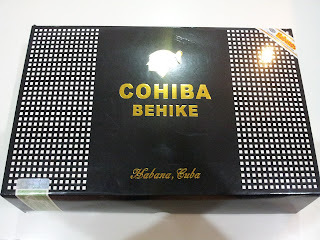 Beautiful black lacquered box, similar to original with white/grayish squares but not close to the edge and an almost identical COHIBA logo with somewhat faded Habana, Cuba below it. 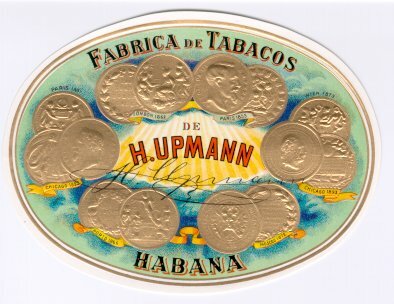 Unlike the real boxes the bottom of the box is lined with black suede like material but missing the Habanos SA imprinted logo. Inside the box is lined with cedar wood from the bottom only, 2 brass hinges holding the top and a nice COHIBA logo with BHK 56 printed on the inside. 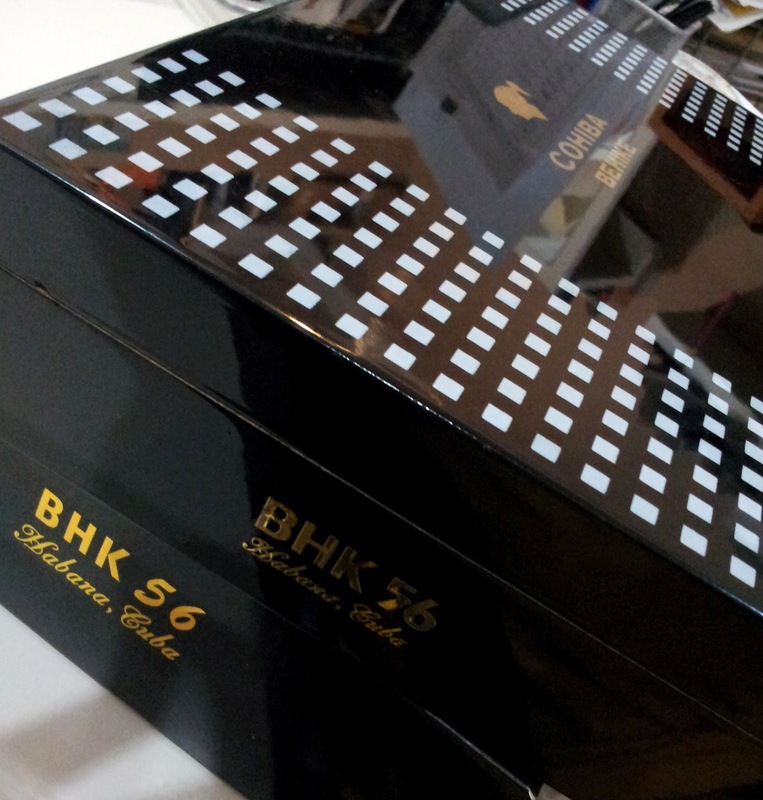 It also came with a hygrometer and humidifier oasis enough to hold about 24 cigars. Quiet nice! 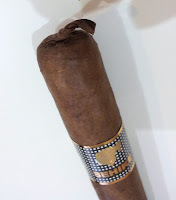 I have smoked two of them so far and I will not even bother to try to review it! was it bad? not really its an ok smoke, but some parts of it were. Would I smoke them again? 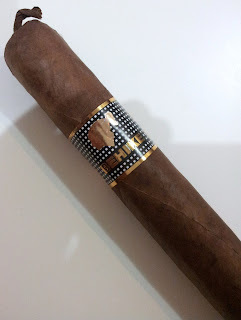 I Don't think so, but "IF" I decided to, I am removing the band way before I lighting it up! why? its an insult to the brand! Im so glad to finally come across a fake! best thing to come out of this was a nice 24-cigar humidor that looks like a BEHIKE box! 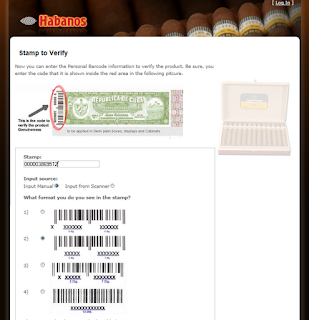 If only I knew how much the counterfeiter was selling this box for! During the XIV Habanos Festival in Cuba back in February, Habanos S.A annouced this years Edicion Limitada (Limited Edition) cigars for 2012. 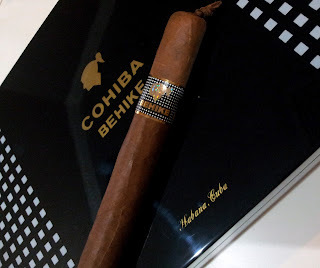 Typically, every year they release a number of L.E cigars to commemorate either the brands achievements, anniversaries, reserves or the selective blending of the specially harvested tobacco leaves. 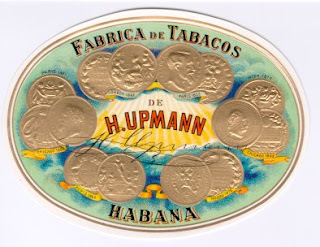 Last week Habanos S.A officially announce the H. Upmann LE release dates so far, but hopefully we will see the rest by end of summer which is usually the case with most LE in the past. Will keep following these LE until we get more information and a word on their release date. Naora Limited Edition 2012 is a Grand Cru of intensity 5 to be enjoyed as an Espresso. Harvested after a longer and strictly controlled ripening period, Naora Coffee cherries develop singular aromatic notes. thanks to this late harvest sweet red fruit notes characteristic of pure Colombian Arabicas evolve into complex hints of wild fruits. Only with this extended maturation period can these coffee cherries develop notes of blackcurrant and blueberry with an incredible long-lasting flavor. It will be interesting to see how the extra ripeness and the late harvesting of the coffee cherries would add to the coffee taste itself. Yes, I am picking up my capsules tomorrow to find out! P.S. 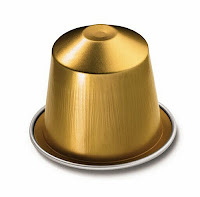 I hope Kuwaits Nespresso website would quickly upload information on the Naora LE 2012. So after talking to Nespresso Kuwait, Sadly, they did not provide me with a straight answer of when it will be available. its such a shame that we fall back on these special and limited releases. I just hope they pull things together and bring Naora soon!